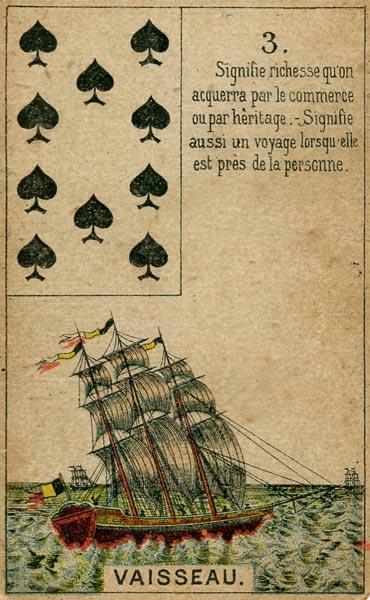 Lenormand originated in Germany as a card game (The Game of Hope) in the 18th century. 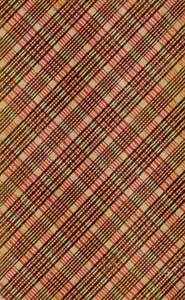 It evolved into a 36-card oracle for divination in the 19th century. 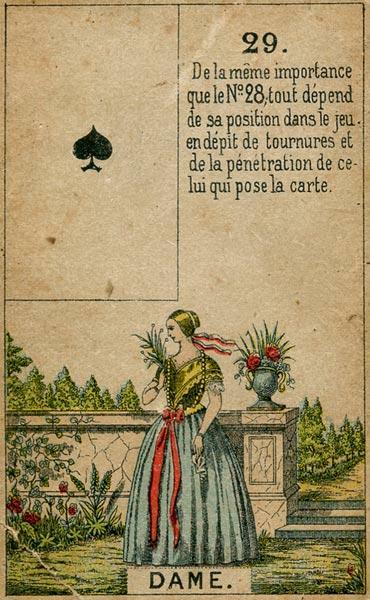 The name Lenormand comes from the famed French fortune teller Mlle. Maria-Anne Lenormand who was an advisor to high profile people, such as Empress Josephine (Napoleon’s wife). While Tarot can be used for deeper reflection on one’s psyche, emotions, motives and spirituality, Lenormand is at its best with more tactical and practice aspects of life. It’s a blunt and direct system and works well for predictive readings. 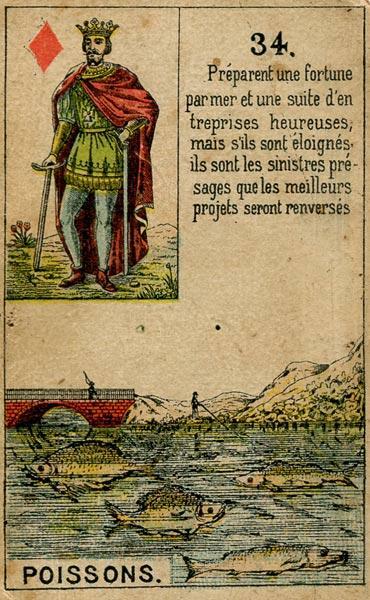 While one can literally get lost in the breadth of a Tarot card’s meaning, each Lenormand card has a fixed/limited meaning and is meant to be read in pairs or triplets to create sentences. 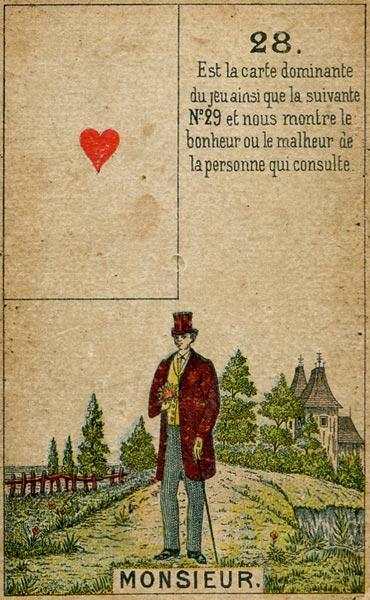 Geûens-Seaux Lenormand [Petit Jeu de Madame Lenormand] Card number 27 reads: "Déposé en France et en Belgique, Geûens-Seaux, Bruges" Daveluy, Belgium made this deck from 1840 to 1895 and his heir Geûens-Seaux continued between 1895 and 1901. 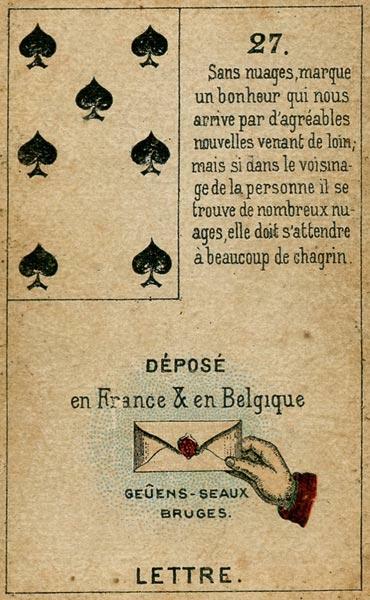 In 1901, the Geûens Seaux company changed its name to Geûens-Willaert, all decks published under the name Geûens-Seaux date from the period between 1895 and 1901.